Inground Swimming pool openings in the Northeast United Stated ranges around $300-$500. By doing some of the work yourself, you can often save money. For example, if you remove pool cover by yourself or if you do not require your swimming pool to be vacuumed, your opening cost will be less. Swimming pool opening or and start up process is the reverses some of the steps that has done during closing. 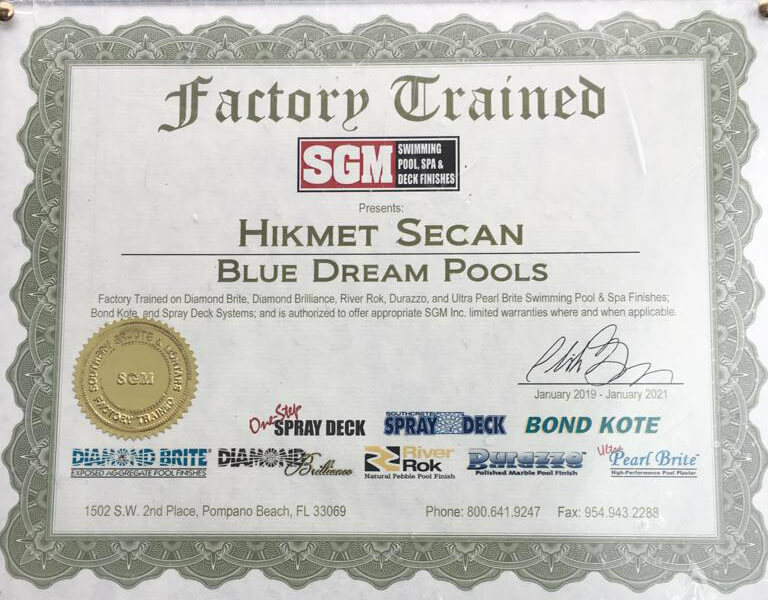 Blue Dream Pool most affordable professional pool opening cost varies according to pool size, type, cover type, equipment’s etc. If you commit to closing your pool with us please call us for details. Just like your car, your swimming pool and its equipment will run better and last longer with proper and professional care and maintenance. Blue Dream Pool’s professional staff’s attention to detail and experience with a wide range of swimming pool and spa equipment will ensure efficient and reliable service. We offer a variety of swimming pool repair services, including cleaning and maintenance. Our pool service company has the team, experience, and equipment to get the full results you’re looking for. Please call or Email us for a quote right quote for your swimming pool! Also, you can use below pool opening request form. Remove, clean, fold and store winter swimming pool cover. Replace winter stored items; ladders, automatic & robotic cleaner, baskets, plugs, gauges, etc. Lube valves and o-rings. Wrap threaded plugs with new thread sealant & Teflon tape . Fill lines with water, prime-up pump, start-up motor and adjust valves for proper water flow. Blow off and then hose off the pool deck for leaves, dirt etc. Skim pool surface with leaves hand skimmer. Vacuum swimming pool to waste if excessive algae is present. Super chlorinate to swimming pool at opening with liquid or granular chlorine. Brush pool walls and steps. Check chemical levels in 12-24 hrs, adjust as needed. Backwash filter when pressure gauge rises 8-10 psi more than start up level.